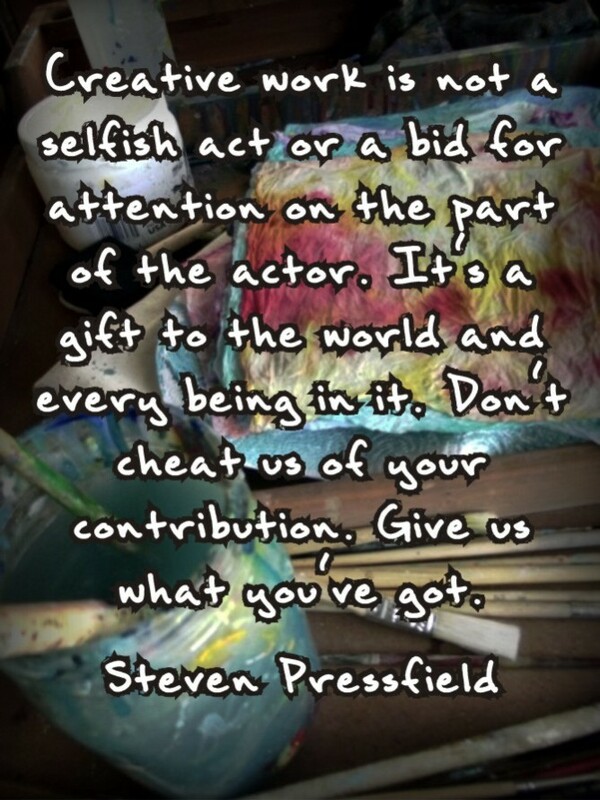 Have you read The War of Art by Steven Pressfield? If you have that little voice in your head that repeatedly undermines your confidence or if you have trouble staying committed to your art I beg you to get your hands on this book as soon as possible! Let me warn you, though, Pressfield doesn't cut you any slack. He is serious about the discipline of art. Everywhere I turn lately the message is loud and clear: You have to do the work. This book challenges and equips you to stay the course and make real progress toward your creative goals. It truly is a gem. 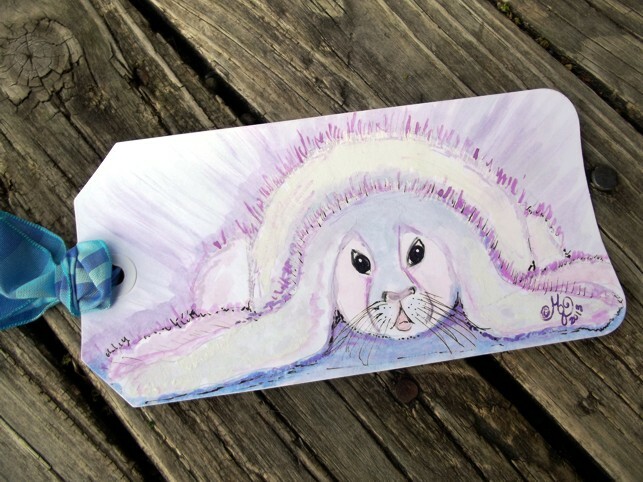 I also want to share the tag I created for an Easter Tag Swap organized by Kirstin McCulloch of Lillibean Designs. If you haven't visited her blog, I hope you will do so by following the links here. Kirstin creates the greatest images of beautiful, brave girls and always has a great story to share about them. Her latest collage/painting of the Princess and the Pea is just fabulous. 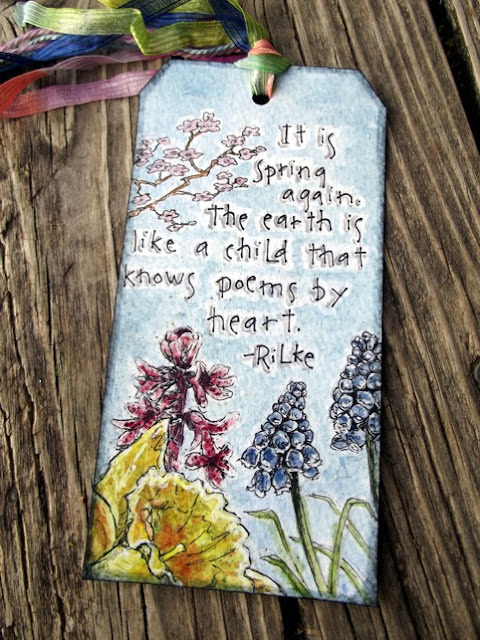 The tag I created for the swap features one of my favorite Rilke quotes (Just about any quote of Rilke's is one of my favorites.) and some sketches of spring blooms. I sent it off to Liza Thomas in Australia just a few days ago. I hope she likes it! I am also excited to share with you the tag I received in the swap. This beautiful bunny was created by Chel Marie of Chel Marie's Creative Corner. 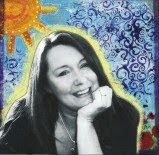 Stop by her blog and be inspired by her beautiful artwork. Meeting new online friends is one of the really fun aspects of participating in swaps. I have had a wonderful time perusing Chel's posts and reading a bit about her artistic journey. And speaking of online friends, I am happy, as always, to link to Creative Every Day today! Leah Piken Kolidas does an amazing job of keeping us all organized and giving us the opportunity to connect with other creatives every week. Won't you join us? All are welcome! I think your tag with the spring flowers is so pretty and the quote is truly thought provoking! Your tag is gorgeous! Liza will love it! Thanks for the book recommendation also! Happy Easter to you and yours! I love your tag...and your blog. What a happy place:) Glad to have found it. Wonderful Blog, so impressed I am now following. Beautiful Tag Janice and the one you received is also gorgeous. Thank you so much for this quote and the book recommendation. I so needed it as this week I have not been feeling very creative. Love your Header.